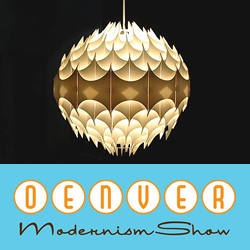 The Denver Modernism Show expo takes place in Denver Colorado in August. This expo showcases a great variety of vintage, modern, and contemporary art, furnishings, collectibles, design, jewelry, electronics, textiles, and so much more! Find that great clothing item, discover unique housewares, glass accessories, and vintage and modern inspirations of all sorts at this huge event. As part of the fun take in the entertainment, fashion show, design presentations, pageant, car show, drinks at the Tiki Lounge and more! 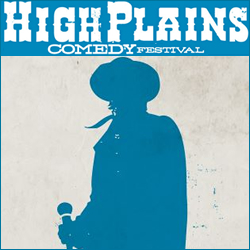 The High Plains Comedy Festival event takes place in Denver Colorado in August. Comedians will entertain at a number of locations around Denver during the comedy festival – get your tickets and don’t miss this event series. Shows thurs – sat – at locations including 3 Kings, Mutiny Information Cafe, Hi-Dive, Brendan’s Pub, TRVE Brewing, and the McNichols Building at Colfax and Bannock Saturday. 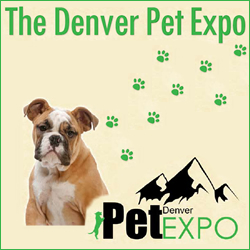 The Denver Pet Expo takes place at the Merchandise Mart in August. Pet owners and pet lovers enjoy over 165 exhibitor booths and information on nearly anything and everything related to your pet! See great demonstrations and get discounts on microchipping and vaccinations. This will be a MEGA adoption event – is it time for you to add a pet to your household? PETS are welcome with leash and current vaccinations to this FREE Event! 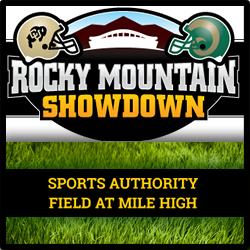 The Rocky Mountain Showdown College Football Rivalry Game takes place in Denver Colorado in August. In this much hyped season opener to the Division I Football Season in Colorado, the Showdown is an instant in state classic between the University of Colorado and Colorado State University. From current students, to leagues of alumni followers from both schools, this is the premier college football game of the year for many fans. Tailgate celebrations are a must at this Colorado sporting event! Get your tickets! 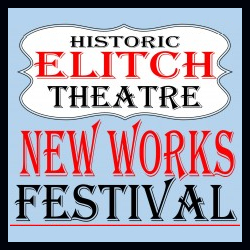 The Elitch Theatre New Works Festival takes place in the Highlands neighborhood of Denver Colorado in August. This showcase celebration features Denver’s return of the classic and historic Elitch Gardens Theatre. Restoration, support and contributions, and years of work have helped bring theatre back to this North Denver neighborhood. Don’t miss your chance to attend a performance at this iconic Denver landmark! Discover Deals for Denver and more at Mile High Guide. 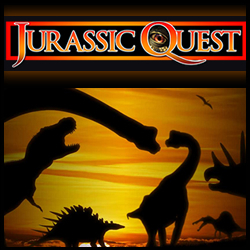 The Jurassic Quest event showcase takes place in Denver Colorado in August. Explore the amazing world of Dinosaurs brought to life at this extremely lifelike dedication to the dino! Children and adults alike will be amazed at your favorite creatures from the past . . . this is the premier event for any kiddo who loves everything Dinosaur! With over 50 dinosaurs in all – many animatronic and life-size – this exhibit and educational experience is one not to miss. Discover additional deals for Denver at Mile High Links. 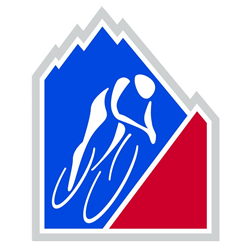 One of the premier, internationally followed events of the year takes place in August when Colorado welcomes the USA Pro Cycling Challenge. Professional world-class cycling has returned to the amazing beauty and challenges faced in Colorado’s high-country and street racing sprints along the front-range. Host cities proudly serve as the beginning and end of each stage. These cities include (in order): Steamboat Springs, Arapahoe Basin, Copper Mountain, Aspen, Breckenridge, Loveland, Ft Collins, Golden, and Denver. Whether you are a racing fan, casual cyclist, want to volunteer, or just want to catch a glimpse – don’t miss this exciting event taking place in Colorado! 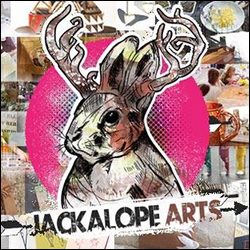 The Jackalope Arts Fair event takes place in Wheat Ridge Colorado in August. Don’t miss this fun and eclectic arts event taking place as part of the Wheat Ridge Carnation Festival – one of Colorado’s longest running community celebrations. Great shopping and handcrafted goods from over 200 artisans. This event is a community centric gathering of local goods and DIY crafts – quality as an emphasis at this arts and crafts event. The Denver Bridal Show takes place in Denver Colorado in August. The Denver Cultivate Festival event takes place in Denver Colorado in August.